I feel that there are many lessons to be learned in ICT4D both through practice and innovation that comes naturally with time. ICT4D by nature is a field that is always changing but I feel that there are some salient lessons that are realtively constant. 1). Make sure that the goal of your project aligns the needs of the people who will be effected by it and that they want it. It is crucial to a project that the community wants it, can use it, and that they have the infrastructure to maintain it. No matter how great an idea is a community will not adopt or maintain a project if they do not agree to it, it strains them, or they do not have the correct skills. 2). Pilots are important. Another factors that can greatly impede a project is if the actual hardware is faulty or does not work according to plan. This links with my previous point that if someone cannot use something since it strains them they will not. This could be if something is hard to charge, breaks easily, or is not viable for the environment of the community. All these lessons are very much linked together and reflect on the core nature of ICT4D and development…it is for the people and they should be the primary thought. An example that incorporates these three lessons is the XO laptops. This project failed (in my opinion and many others) even though it had a great core idea. The company did not pilot it nerarly enough, they did not manufature it well so it strained the users, and it was slightly complciated to the extent that it took our class 5-10 minutes to even pry one open! After taking this class I learned many things but something that stood out to be was the way one can use different lenses to look at different situation and problems. Many problems do not have one sole root and can be seen impeded by cultural, social, economic, and political differences. During the country case studies I studied South Africa and I feel that this country is a great example of this thought. South Africa is a dynmaic country full of potential that is special in a sense since its extremes. Some cities like Cape Town are very technology savvy and other more rural parts are extremely not. This also showed me that things like language differences and cultural practices can be a big issue for ICT4D. Many communities and groups have specific customs and could see some techniques and technologies as insulting or opposing to them. I feel that a really useful framework that we have talked about in class that can be used to think about and implement ICT4D is the HCD process. This also circles back to my lessons as “hear, create, deliver” simplifies the core idea. Organizations must make sure they know what the community or people want, create it and do it well, then deliver it and make sure that it is sustainable. This is a great framework and could loosely fit with most organizations and projects as long as the steps are done properly. All in all ICT4D (the class) was quite interesting and I learned a lot about a sector that I too feel is the future of development. It would have been cool though to learn more about cyber security and how developing nations are transitioning into developed nations in relation to technology and the growing cyber sphere. I wonder how governments can control the cyber sphere while trying to keep the economic and social sphere stable.This is a question I feel our class and other classes would have enjoyed finding the answer. After listening to a great presentation on cyber security and its importance as well as risks, I became interested in how other nations treat cyber security and if America is giving advice. I stumbled onto an article that talked about how foreign allies of America need to start stepping up their cyber security as they are “equally mobile and even more vulnerable” than America. Many times in developing nations cyber security is an after thought, second to mobile networking and focus on economic growth. The senior adviser for the department’s Office of the Cyber Coordinator Thomas Duke stated that “due diligence” is a top priority for America and we will start helping developing nations to increase their communications infrastructure. Nations such as India, South Africa, and other developing but prominent countries can be threats to themselves and their global interconnected networks. 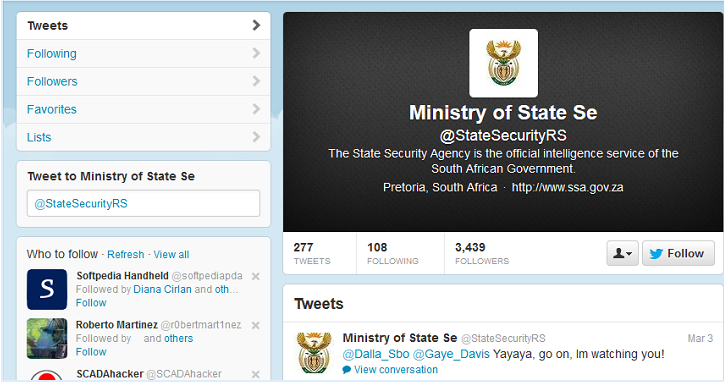 An example of this is when the South African governments twitter feed was hacked (@StateSecurityRS) and started to advertise a diet regime. Many developing nations in Africa do not have the skills or are not willing to protect them selves from cyber crimes. The US government has started to engage with South Africa, India, Brazil, and other nations in creating ground rules upon what is acceptable and what is not in relation to cyber security and attacks. As Duke states, “Those are countries that are leaders of the developing world and countries where we think it is very important to identify the things that we agree upon and don’t agree upon”. Cyber security is becoming a big issue globally and will likely continue to do so until all nations tighten up their security or create a stronger set of guidelines. Michael Riggs is a prevalent member in the e-agriculture community and one of their lead facilitators. Riggs is also very active in rural and agricultural development looking into the content and proceses sectors. He is a big pusher for innovative technology and is seen as a mentor for many in the ICT4D field.He currently works at the Food and Agriculture Organization of the United Nations (FAO) and is a member of the ICTD Collective and of Orbicom and runs a website called e-agriculture. Riggs also has a very active twitter account (@mongkolroek) which he utilizes to tweet about ICT and other innovations. Many of his tweets revolve around agriculture and innovations that could help farmers such as a weather application. Though his tweets are not limited to agriculture and Riggs delves into the general realm of ICT’s like how cell phones fail in emergencies which is a conversation that we have had in class multiple times. 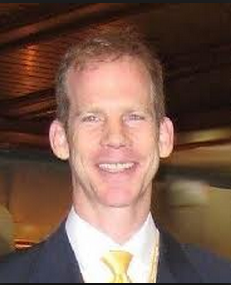 Riggs has shown himself to be very influential in the ICT4D and e-agricultural world and will likely continue to do so! 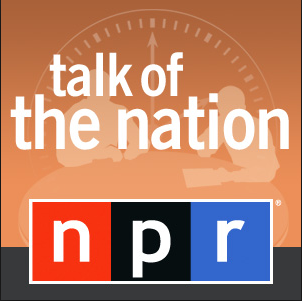 In a NPR interview in 2012 with British reporter Michael Wilkerson–who has lived and done many reports in Uganda–revealed many interesting opinons on the Kony 2012 campaign. While Wilkerson agrees that the LRA is a terrible group that has committed many atrocities but makes the point that they had not been active in Northern Uganda since early 2006. The film only briefly mentions this fact but skips over how he is “a tiny force scattered in a vast jungle area across three countries” so it is not as easy as making a video and deciding to stop Kony theres a lot more effort involved as well as consequences. Such consequences would be conflict stemming from the feeling LRA like what occurred in the Congo in 2009. 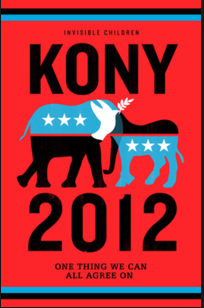 Another convoluted factoid is that Kony has an army of 30,000 children, the film gives the audience the impression that there is currently 30,000 children in captivity when in reality the number spans from 25 years. Wilkerson did not believe that this misinterpretation was not too terrible as it increased the spread of the film and the knowledge of the LRA and its attacks. While coming from Uganda Wilkinson strayed from giving Invisible Children a negative light for their overall mission but did criticized their actions in order to reach their goals. An installment from the National Geographic series Digital Diversity that shows how “mobile phones are being used throughout the world to improve, enrich, and empower billions of lives” greatly coincides with the report by Farm Radio International, “The new age of radio: how ICTs are changing rural radio in Africa”. Both the report and the article state that radio is extremely important for agriculture and increases awareness productivity and knowledge. The article stated an interesting point that having other farmers speak on the radio creates a sense of community as well a larger impact. Rural farmers are more apt to take advice from people they can relate to and trust (like a fellow farmer) than a radio producer or radio host. The FRI report stated that there were some concerns about the availability of the shows since they are not always accesible, but the article states there is a higher chance of the farmers listening if they air them at night when they are relaxing in their homes. The “two way” versus “one way” communication was also mentioned in the FRI report, letters being the only option for farmers to contact the hosts or programs, though the article shows that many are utilizing their mobile phones and texting in questions and comments (around 20 texts a week per program). The FRI report states that there are more listeners when the program sends out text alerts around 30 minutes before hand. Both these usages of SMS are beneficial, quick, and painless. 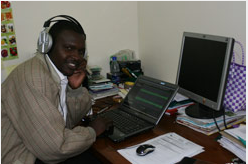 The benefits of radio are not only seen in agriculture, many could be seen seen in other sectors such as health. For instance, how farmers find out how to prevent or treat poultry disease can be transferred for human diseases and treatments. Overal the widespread penetration, accessibility, and affordability of radios’ make them great for less developed nations and should be utilized more often. After learning about OLPC and seeing their promotional videos I began to do a little more research upon the topic and found a great article from 2009 in the UK Guardian by Cory Doctorow that brought up many valid and positive points regarding OLPC and innovation of educational laptop use. While there have been many set backs to OLPC like scale backs and product design failure, it does not mean this project should fail or not be taken seriously. The innovation of being able to connect people all over the world with each other, not just through mobile phones, but also through laptops is priceless. Mobile phones are wonderful and have had great (positive) effects on many communities (rural included) bringing in education, food, health, and democracy though are not useful in disastrous times and can have great long term costs. While lap tops are more costly they only have initial costs and almost no operating costs although similarly to mobile phones connectivity can be an issue. This is an issue that is only going to be fixed in time, but that does not mean OLPC is set up for failure. IT is in all social groups and a crucial part of many people’s lives. 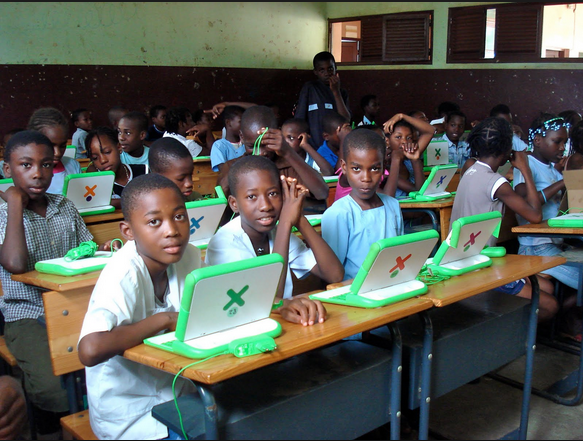 The OLPC project is straying from the old school approach of aid that enables more poverty by creating dependency, and instead focusing on creating capital and skills through education. By connecting the younger generation together and teaching them about technology OLPC is creating a first step to break the cycle of poverty. Many great things have had glitches before they turn into masterpieces and OLPC has great potential to become one. 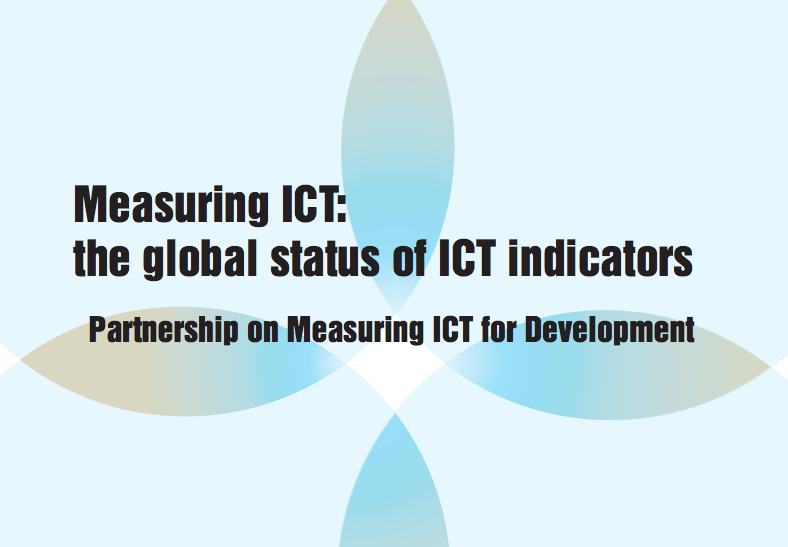 After the 2003 World Summit on Information Society in Geneva the world saw a need to make the tools for measuring and monitoring progress using ICT indicators. The UN sent out a questionnaire that explored the “official information society” statistics to 179 developing countries, of which 86 answered completely. The results are organized in a report in the following seven sections: ICT household indicators, ICT indicators in the business sector, status of ICT indicators in Africa, status of ICT indicators in Central Asia and Central and Eastern European countries, status of ICT indicators in Western Asia, status of ICT indicators in Asia-Pacific, status of ICT indicators in Latin America and the Caribbean. The ICT household indicators section has information on the sources of information, the survey vehicles, availability of the 20 indictors, as well as the differences in social classifications for the ICT statistics. The business sector uses different methods of surveying and other information techniques to see how ICT indicators are in the business sector. While all the other sections above did not get as much as a response and further research and information is needed before more analysis. The actual questionnaire was divided in four main parts and mainly focused on the “institutional and technical systems established” for monitoring ICT statistics, ignoring details on key metadata on the indicator level. After all the different reports were presented regionally in different formats they were standardized and made into a common framework. The report is trying to help understand the ICT situation for different regions depending on their income and GDP levels. One of the goals was to get a consensus for a universal set of core ICT indictors, make a better statistical capacity in developing nations, and make a global database for core ICT indictors. These reports help as they make it easier for one it see progress in ICT use and availability as well as make inferences on poverty. It also allows nations to see where they are lacking and how they compare to others. A universal set of core indicators would also make it easier in general to monitor and evaluate the information society (and other things) and ICT capability. For instance Africa had a low response rate with only 19 out of 52 nations answering, a total of 42% of the regional population. South Africa is shown to have a lower middle income and medium access, which is higher than many of the other African nations, but still failed to answer much of the questionnaire. This shows that South Africa and the African region need to improve on answering such questionnaires so that universal core indicators can be set and monitored. Although not fully successful the report was very factual and is a good base for future research.